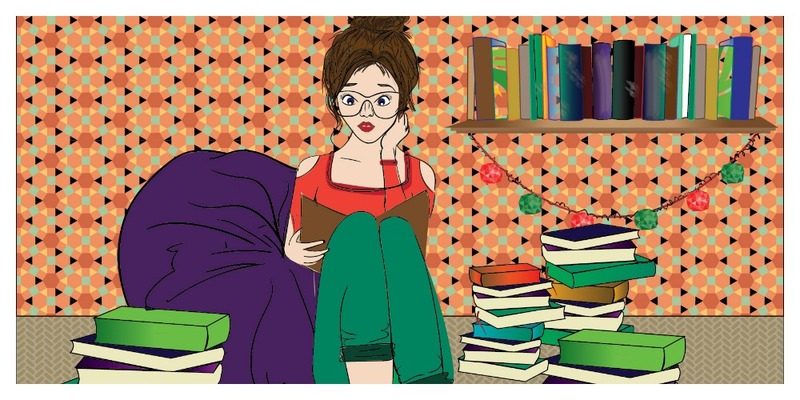 Much ado about Nothing: Reading as a way of life. Reading as a way of life. Being an International Relations and Political Science student carries with it a lot of implications. One of the many is that the expansive amounts of readings that are involved in the whole process can lead to a burn out if you may, of words; of reading way too many sentences in a short period of time so that another sentence may cause wooziness or extreme nausea. I often undergo such sentiments. To add a cherry on top, my favorite recreational passion also involves reading, loads and loads of sentences. For me reading is not just a hobby, or a passion, it is a way of life. So when the overwhelming amount of college reading and my way of life collided, threatening my love for the written word to be swallowed into oblivion, I came up with some solutions. And here I am, sharing with those who may want to listen. Come on close kids, let me spin you a tale! I know how people often say that if you are in a reading slump or do not feel like reading, do not. While that is a sound advice as any, I have found that not working for me. Often, when I distance myself from books for too long a time, I just seem to go deeper and deeper into a rabbit hole that I find kind of stinky. That is when I decided to roll against the tide and power through. John Irving said in ‘A prayer for Owen Meany,’ ‘If you’re lucky enough to find a way of life you love, you have to find the courage to live it.’ Over the past few months this quote became my mantra. Just because things had gotten a little tough I was not going to abandon my passion. So, every day I would aim a certain amount of pages to be read. I started from 10 pages and went to a 100, even 200 if the book I was reading had me extra excited. Things eventually turned into a habit, and now everyday if I don’t at least read 20 pages in any format of a book, I feel a little sad. I find that reading in the wee moments of the day doesn’t help me either. It actually makes me anxious about what I am supposed to be doing and takes out pretty much all the fun. A second technique that works for me is mixing up the formats. If my school readings are in a physical format, I often find myself reaching for my kindle or my audiobook, and vice versa. Recently I have started following some wonderful bookstagram accounts. This not only gives me great ideas for my next reads, but also constantly inspires me to be creative with my books. Another best thing I always have people to talk to about that book after I finish. I also use Goodreads meticulously. Over the years I have sifted through the many wonderful reviewers on Goodreads to find those that have similar taste in books as me. Often I find encouraged by such little things that they do, either the number they read, or the speed which they read with. One of my goodreads friends actually reads a lot of books on audio, and that got me excited about audiobooks so much, I finish 3 audiobooks with the span of one month. I love making friends, but in particular I love making bookish friends. I gave up on my dream to be a part of a book club long ago (I can never seem to get interested in the books that are picked for me), and so my bookish friends are those people who fill the gap. I can talk to them about books as much as I want without feeling the need to read what they are reading. Recently I have converted my husband into one of my bookish friends as well. I hound him for details of what he is reading to an extent where now he looks forward to writing reviews himself. If all fails, what I have tried recently is finding reading material relevant to what I am studying in School. For example, I was recently learning about the history of Cold War and its impact on the future years, when I stumbled upon the novel, Girl at War, which is essentially about the Yugoslavian Civil War. The relating of events I had studied and the ones being mentioned made it so much fun, not only did I look forward to reading the book but also to studying! So what are some of the things you do when life gets you down and you find no time to pursue your hobby or passion?